XpandHCR™: Cross An Item Off Your ACA Checklist. 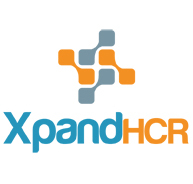 XpandHCR™ is an essential administrative tool for health insurance carriers participating on the Affordable Care Act (ACA) public exchanges planned for 2014. Acero’s software solution provides carriers with a granular method to calculate, track and manage federal cost-sharing reduction (CSR) subsidies and payments. The results of these calculations are then used for annual federal reconciliation. Faced with a daunting list of new operational and technical requirements for ACA compliance, carriers will appreciate the application’s transparency, predictability and accuracy as it addresses one of the more challenging ACA requirements. Unlike the premium tax credit subsidies (APTC) which will be calculated by the exchange, the CSR subsidy must be calculated by the insurer. CSR subsidies, which benefit eligible low-income consumers (and other eligible consumers), will be paid by the federal government to carriers based on several factors: eligible membership, plan benefit design and utilization. These subsidies create new financial risk for the carrier by requiring the reduction of the consumer’s cost share responsibility through benefit plan changes without an equivalent change to the consumer’s premium. HHS recently released a final rule (HHS Notice of Benefit and Payment Parameters for 2014) governing the carrier's responsibilities for estimating, tracking and reporting CSR reimbursements. As a vendor with deep claims administrative experience, we understand the challenges presented by subsidy rules outlined in section 1402 of the ACA. Our software application addresses both the low income silver plan requirements as well as the American Indian specifications. Please contact us to learn more about this health reform challenge and our solution.